Our veterinarians will take into account factors such as breed, age, your lifestyle, and any current health or behavioral issues to make recommendations that will be tailored to your puppy's needs. Puppy vaccinations should take place every 3-4 weeks until 16 weeks of age during the first several months of life, and continue with booster immunizations throughout adulthood. 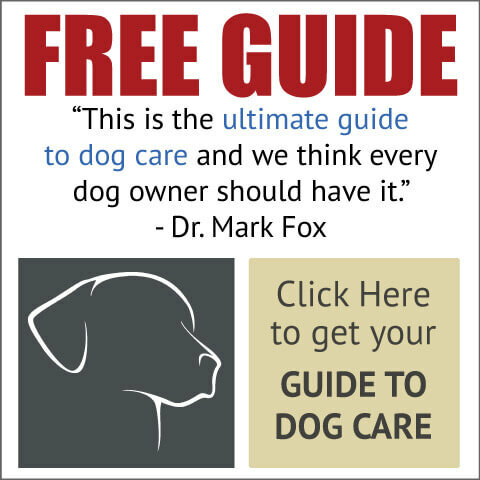 There are core and non-core vaccinations and your veterinarian can help you decide which vaccinations are right for your canine companion. It is important to stay current with your puppy vaccinations. Puppy vaccinations have been medically proven to combat many preventable diseases and illnesses that will occur without proper immunizations. Puppy vaccinations are a huge part of responsible puppy care, and your puppy deserves no less than every chance to be healthy and happy for life. All puppies need a regular deworming program which includes medication to kill most intestinal parasites. In addition, we will want to check your puppy’s stool for uncommon but potentially serious parasites. Dogs can also contract heartworm disease. Therefore we recommend heartworm prevention for all of our patients. One of the most common and annoying parasitic dangers is fleas. A discussion about your pet’s lifestyle and proper flea and tick control is an indispensable component of puppy care. We do not recommend over-the-counter sprays, powders and collars. They are less effective and more toxic to your pet. Your veterinarian will be happy to discuss an effective flea/tick and overall parasite prevention program. Understanding puppy food is a huge part of responsible puppy care. After all, your puppy's body is growing in ways that will directly impact his or her quality of life for many years to come. It is important that you choose a quality puppy food that has been specifically formulated for young and growing dogs. Always look for a statement from the Association of American Feed Control Officials (AAFCO) that ensures the puppy food you choose meets or exceeds nutritional requirements for growing canine bodies. We recommend spaying or neutering at approximately 6 months of age. However, among certain breeds, some studies have proven that waiting even longer may be the most optimal to avoid certain cancers. Our veterinarians will review this information with you and discuss which breeds may want to consider an alternate plan. The American Veterinary Medical Association supports early spaying and neutering. In general, puppies recover faster than adult dogs. Therefore, it is an easier surgery for them and one that reduces the rate of disease later in life. Delaying this procedure past sexual maturity can lead to increased incidences of mammary tumors in females, and testicular cancer in males.